Over the past month I've been working on a project to develop some slow cooker recipes in conjunction with Quality Meat Scotland for their Good Family Food Facebook Page. I'm delighted to now share the first three using Scotch Beef, Scotch Lamb and Specially Selected Pork. Coat the Scotch lamb shanks with the flour mixed with salt and pepper and place in the bottom of the slow cooker crock pot. Peel and slice the shallots, crush the garlic and slice and thoroughly wash the leeks. Add all of the prepared vegetables to the slow cooker. Drain the butter beans and tip them into the crock. Make up 250ml of lamb stock and pour into the slow cooker crock along with the red wine. Nestle a couple of sprigs of rosemary in amongst the lamb shanks. Prior to dishing up, remove the rosemary sprigs and skim off any visible fat. Coat the Scotch beef cubes with the flour mixed with the salt, pepper and smoked paprika. Peel and slice the chorizo and add it to the slow cooker crock pot along with the beef. Peel and chop the sweet potatoes into bite sized cubes, slice the onions, crush the garlic and core, deseed and chop the peppers. Add all of the prepared vegetables to the slow cooker. Make up 500ml of beef stock and add 2 tablespoons of Worcestershire sauce. Pour the liquid into the slow cooker crock and give everything a good stir. 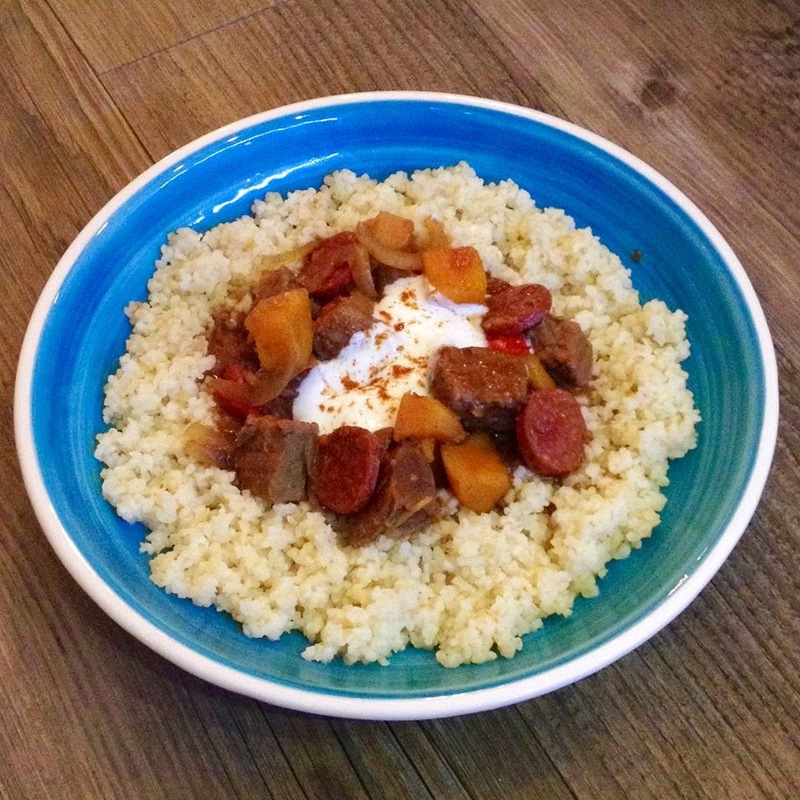 Serve on a bed of bulgur wheat topped with soured cream and a sprinkling of sweet smoked paprika. Season the cubed pork with salt and pepper and place it in the slow cooker crock pot. Pour over the cider or apple juice. Chop the shallots and grate three balls of stem ginger. Add both to the slow cooker along with 2 Tablespoons of the syrup from the jar of ginger. Core and roughly chop one of the apples, keeping the skin on. Peel and roughly grate the second apple. This will help to thicken the casserole and make its own apple sauce. 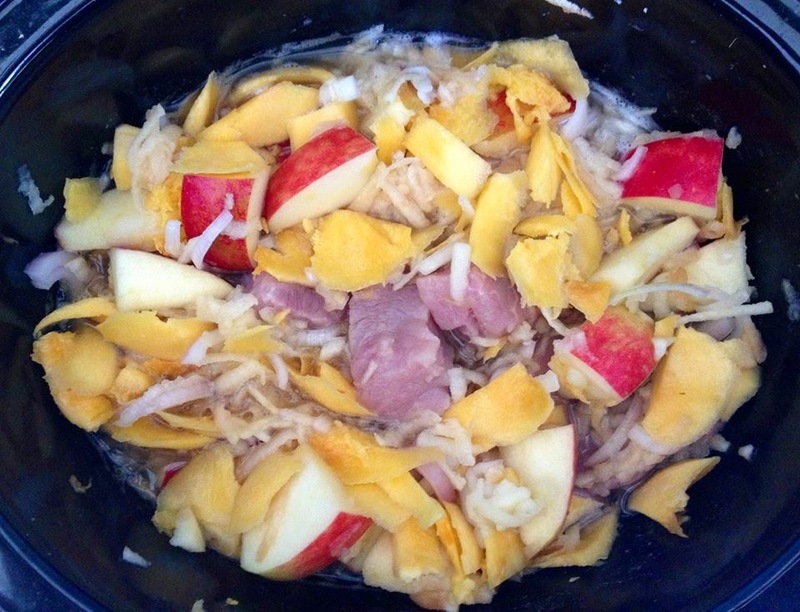 Add both prepared apples to the slow cooker. Peel, deseed and cube your pumpkin or squash (no need to remove the skin if you are using a butternut squash as it will soften beautifully in the slow cooker). Alternatively if you are going to be carving your pumpkin you can scoop out the inner flesh in shards. Add the pumpkin flesh to the slow cooker crock and give everything a good stir. Optional - Before serving stir through a couple of tablespoons of crème fraiche. Serve with grainy mustard mash and greens stir-fried in Scottish rapeseed oil. 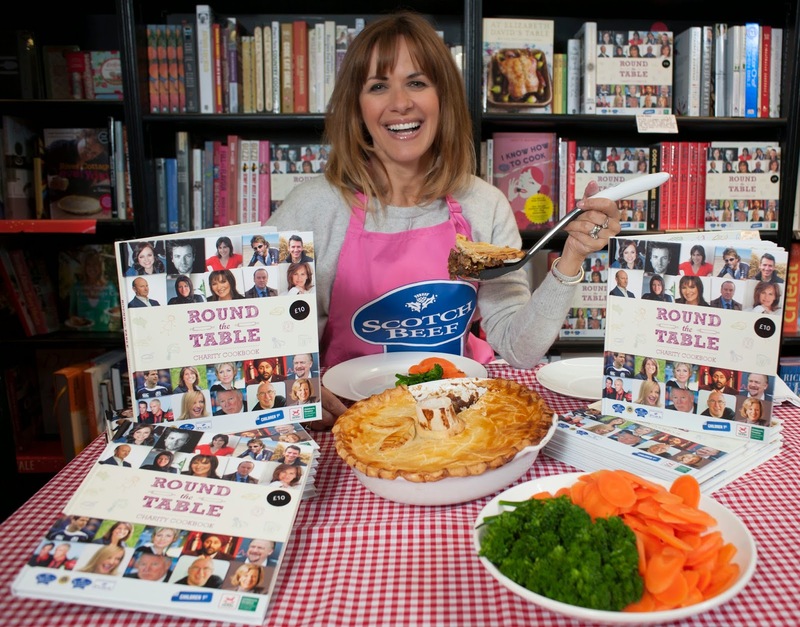 Quality Meat Scotland have provided a copy of 'Round the Table' Celebrity Cookbook, a Scotch Beef Apron and a £20 meat voucher (to be redeemed at a member of www.scotchbutchersclub.org) as a giveaway for readers of Foodie Quine. Entry is via the Rafflecopter widget below. 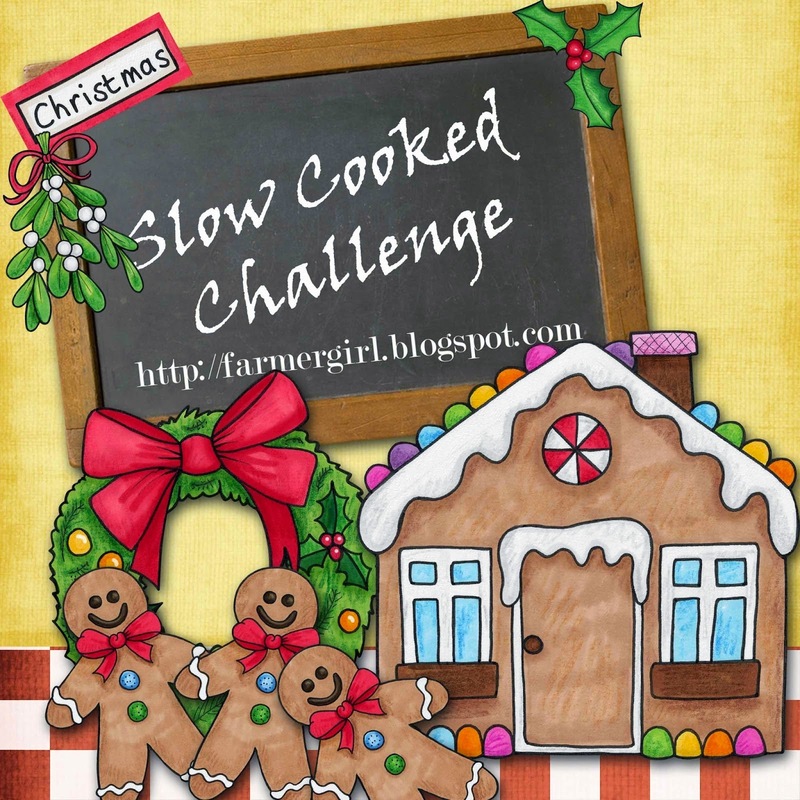 To enter, let me know in a comment "What's your favourite of my three slow cooker recipes?" For additional bonus entries you can follow me on Twitter and like me and Good Family Food on Facebook. Closing date is 31/12/14 Good Luck! 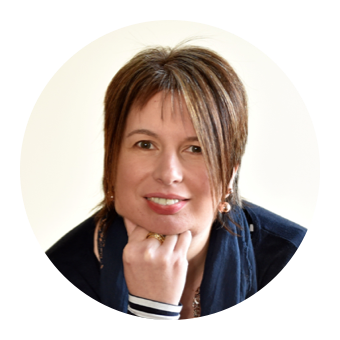 Disclosure - QMS commissioned me and compensated me for my time in creating Slow Cooker recipes for their Good Family Food Facebook page. All views expressed are my own. 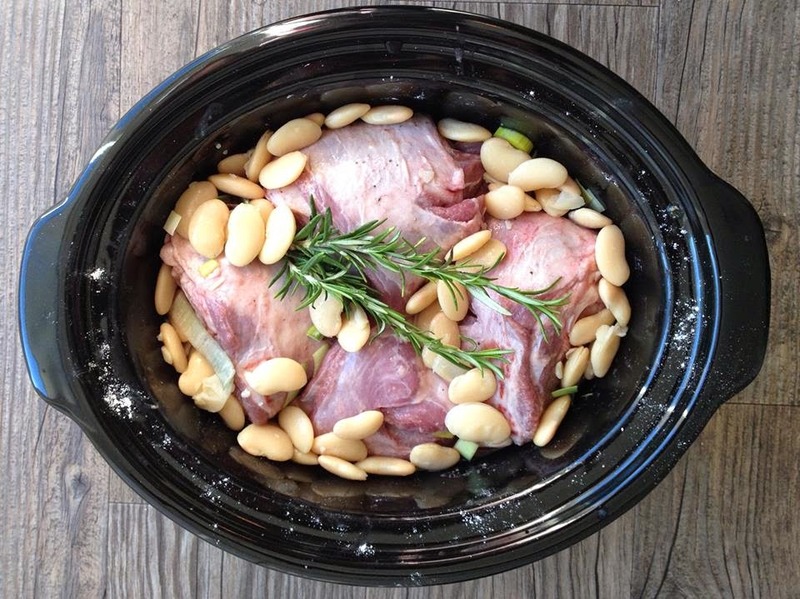 I love these slow cooker recipes, I recently made garlicky lamb shanks in mine but I bet the butter beans and veg were a really good complement in flavours. Definitely pork, pumpkin, apple and ginger. Yum! Ooh I'm torn. The lamb shanks sounds amazing but will have to go with the slow cooked scotch beef. The chorizo won it for me! The Slow Cooked Pork, Pumpkin, Apple & Ginger Casserole sounds and looks lovely too.That is one I'd love to try out. Slow cooked Scotch Beef with Sweet potato and Chorizo. I will be having a go at thi for sure!! Slow cooked Lamb Shanks, looks and sounds great! Slow Cooked Lamb Shanks with Red Wine and Butter Beans. Because I love lamb shanks. And red wine. And butter beans. Slow Cooked Lamb Shanks with Red Wine and Butter Beans. for me. The lamb shanks, I think. I love the look of the slow cooked pork, pumpkin, apple and ginger casserole. The Lamb shanks, my favourite! Definitely pork, pumpkin, apple and ginger. It really works. I loved the Pork/Pumpkin/Aple/Ginger combination, so did the family..thankyou .. 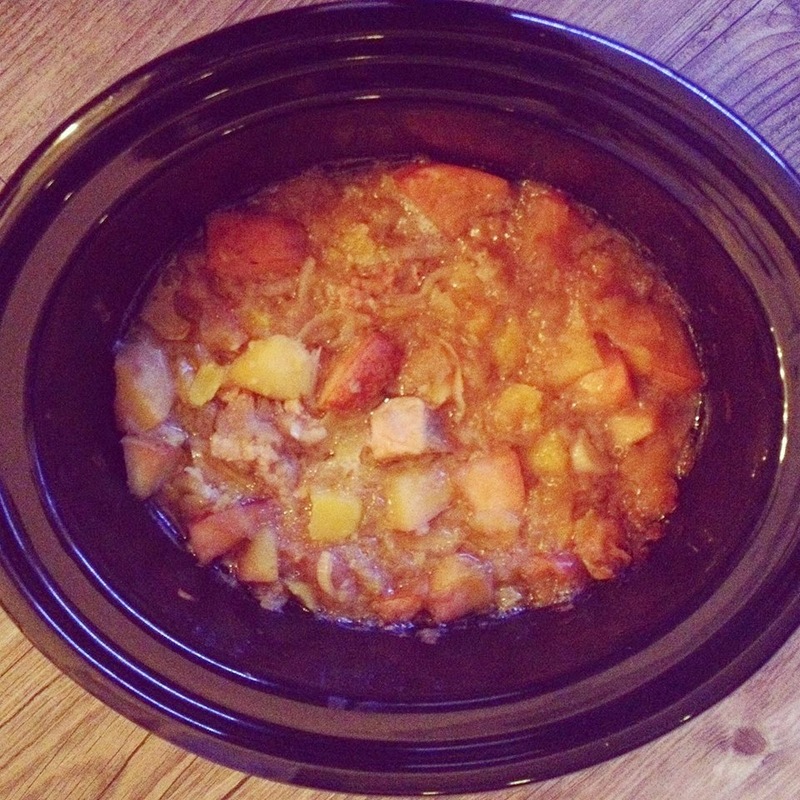 Slow Cooked Pork, Pumpkin, Apple & Ginger Casserole sounds delicious! Slow Cooked Scotch Beef with Sweet Potato and Chorizo sounds amazing! The scotch beef one sounds lovely! 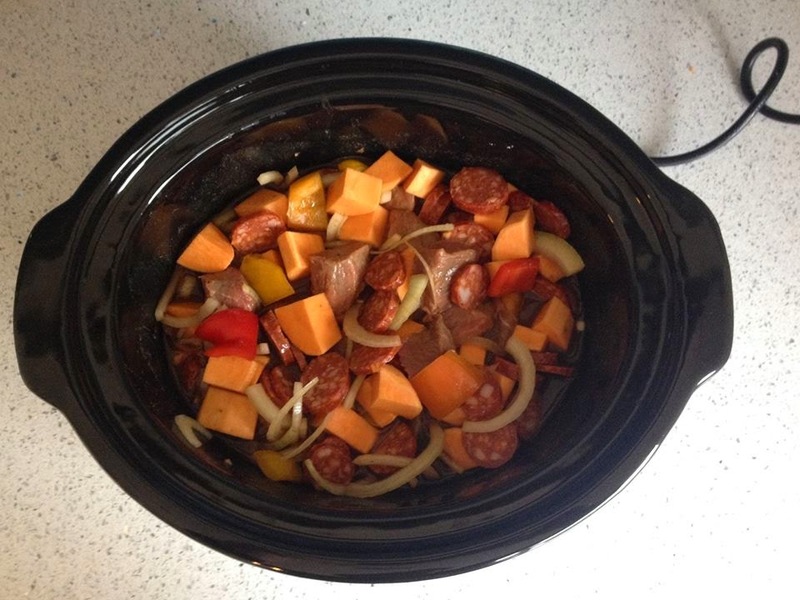 I love slow cooker recipes and Slow Cooked Scotch Beef with Sweet Potato and Chorizo sounds lush! The Slow Cooked Scotch Beef with sweet potato and chorizo sounds delicious! The Slow Cooked Lamb Shanks with Red Wine and Butter Beans is new to me. Beef with sweet potato and Chorizo looks great. The sweet potato and chorizo one looks lovely! The slow cooked lamb shanks look lovely. Slow cooked Lamb shanks with red wine and butter beans. The lamb .. but, I could just eat any one of them right now. Slow Cooked Scotch Beef with Sweet Potato and Chorizo!! The perfect meal to come home to after a cold, dark commute...! Slow Cooked Scotch Beef with Sweet Potato and Chorizo - it looks delicious gonna have to try this. Slow Cooked Scotch Beef with Sweet Potato and Chorizo sounds really delicious (they all do but that just sneaks ahead!). Slow Cooked Lamb Shanks with Red Wine and Butter Beans - I love lamb ! Slow cooked pork pumpkin apple and ginger casserole look delicious! The beef would be my favourite as it is my favourite meat but ginger and red wine are firm favourites too so I would try them all out. Slow cooked beef with chorizo & sweet potatoes yummmmmm! Slow cooked lamb shank for sure! Slow cooked Scotch Beef with Sweet potato and Chorizo. Made Chorizo jam for Christmas and that was so well received that this is a natural follow up, thanks. Slow Cooked Scotch Beef with Sweet Potato and Chorizo - sounds amazing! Slow Cooked Lamb Shanks with Red Wine and Butter Beans looks yummylitious! another vote for Scotch Beef with Sweet potato and Chorizo, it sounds amazing! 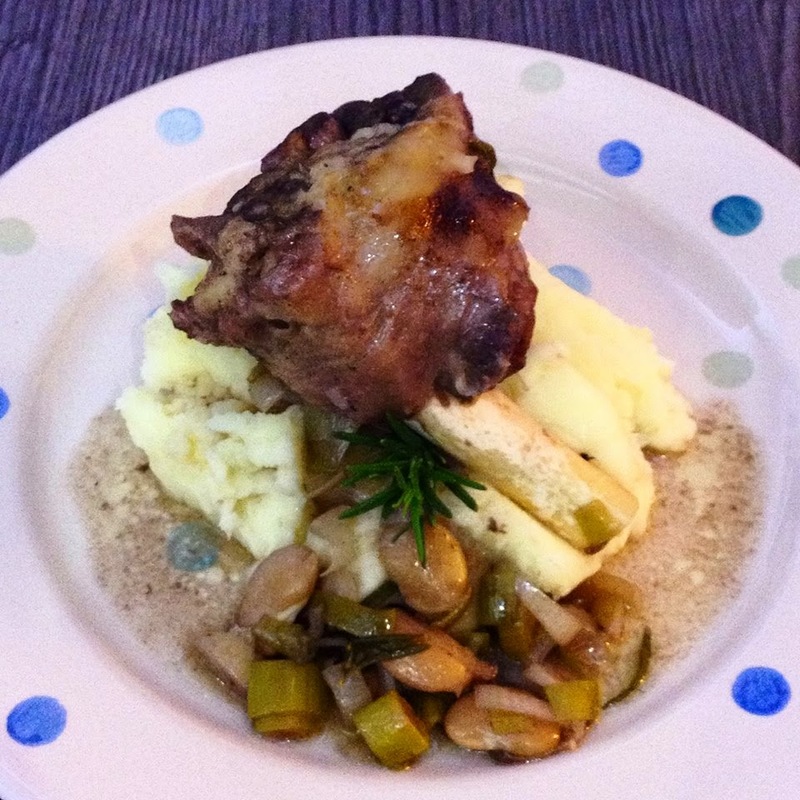 The Lamb Shank recipe is my favourite, but I may have to substitute butter beans for an alternative bean! The slow cooked lamb shanks with butterbeans, melt in the mouth yummyness ;) !!!!!! Slow Cooked Lamb Shanks with Red Wine and Butter Beans. I love lamb!! Definately the Slow Cooked Lamb Shanks with Red Wine and Butter Beans. Sounds yummy!